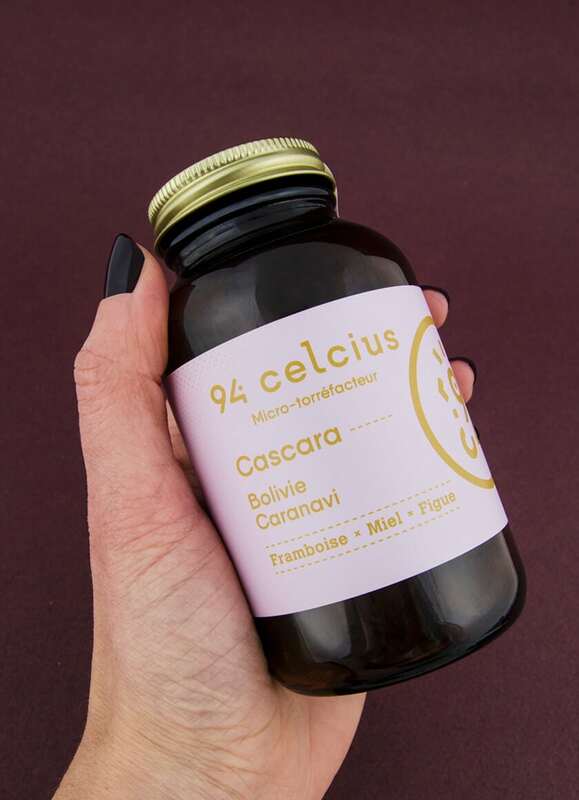 94 celcius is an expert coffee roaster that sends us on a journey with each sip. 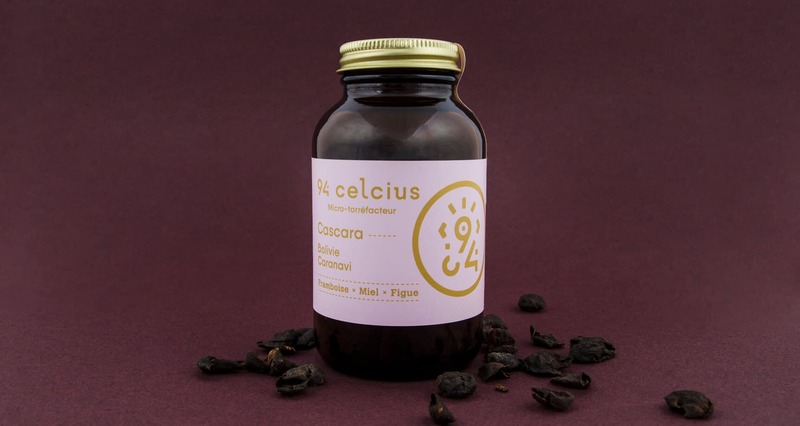 Recently, the enterprise released a new product, cascara, which is for many unheard of. 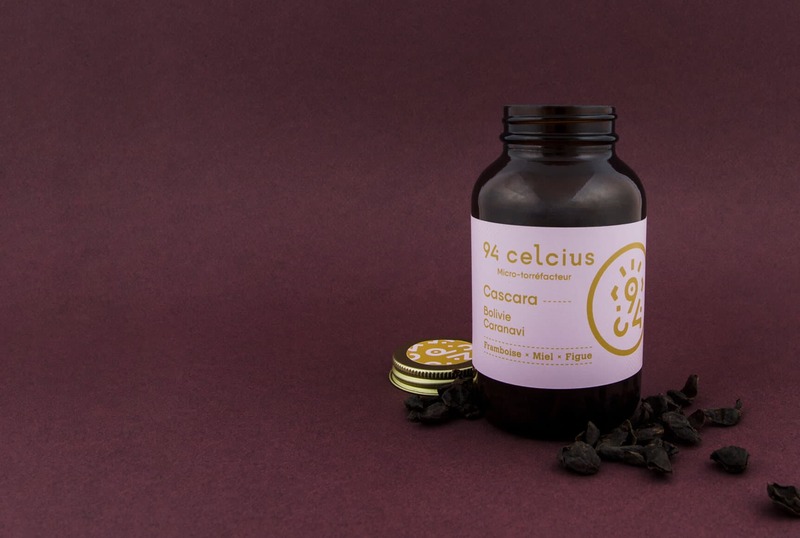 It consists of dried coffee cherry pulp and peel, served as an herbal infusion. 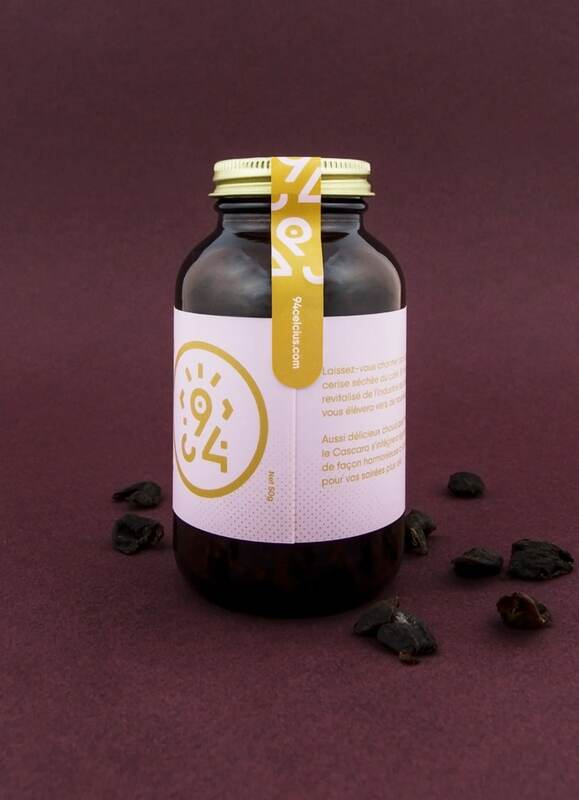 This beverage similar to tea is naturally sweet and slightly caffeinated. With its’ ecological footprint at heart, the company favoured containers made of glass as opposed to plastic. 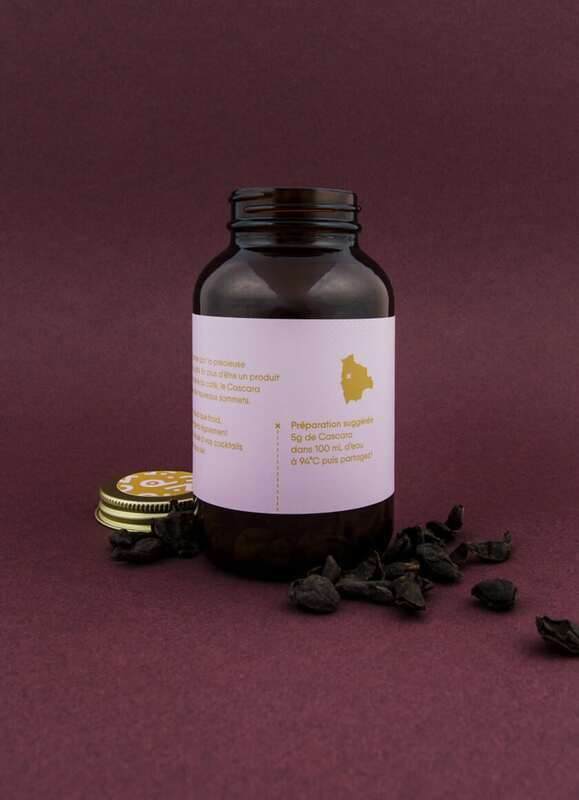 They chose a bottle model frequently used in the field of natural supplements. 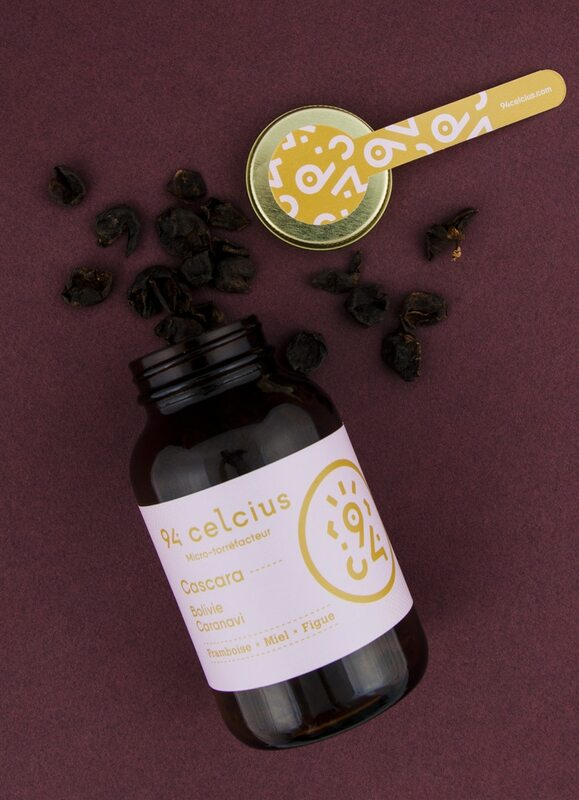 An amber coloured glass was chosen to protect the essential oils found in cascara from light. For the labels, we opted for a sober approach dominated by typography, combined to a rose in reference to the raspberry and dried fig aromas found in the beverage. This results in a new product bound to catch the eye.